BRONX (WABC) -- Authorities are investigating after a close call for bus passengers in the Bronx Tuesday. A manhole cover blew off and flew up into the bottom of a bus, striking a female passenger. 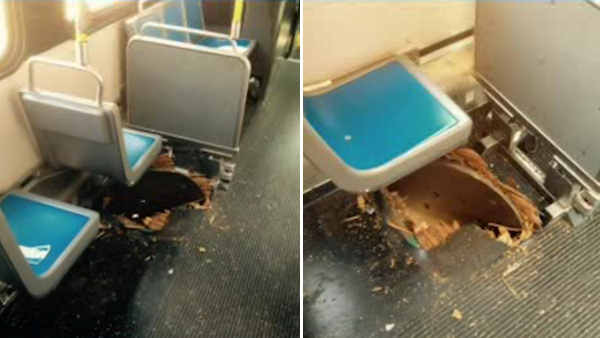 The MTA says something propelled the manhole cover, weighting about 100 pounds, through the floor of the BX11 bus. The woman was not seriously hurt, and no one else on the bus was injured. At this point, there is no word on what caused the incident.